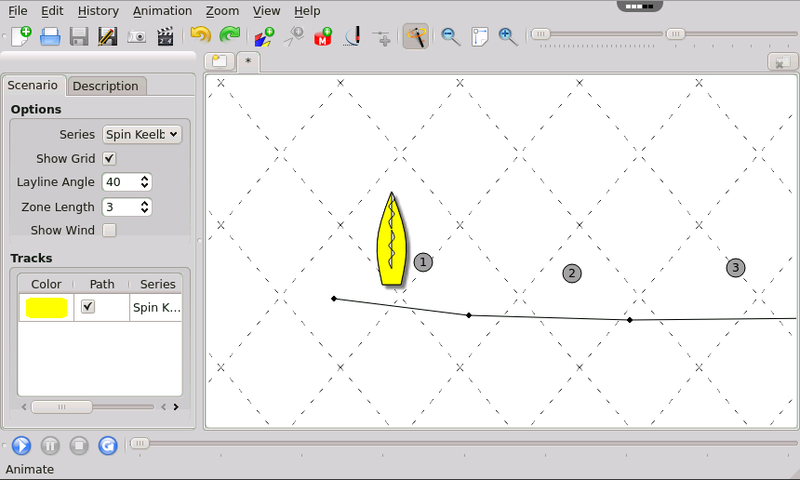 Boat Scenario is sailing drawing tool. Boat Scenario is your ideal companion for training sessions, rule learning, strategy explanations and more. 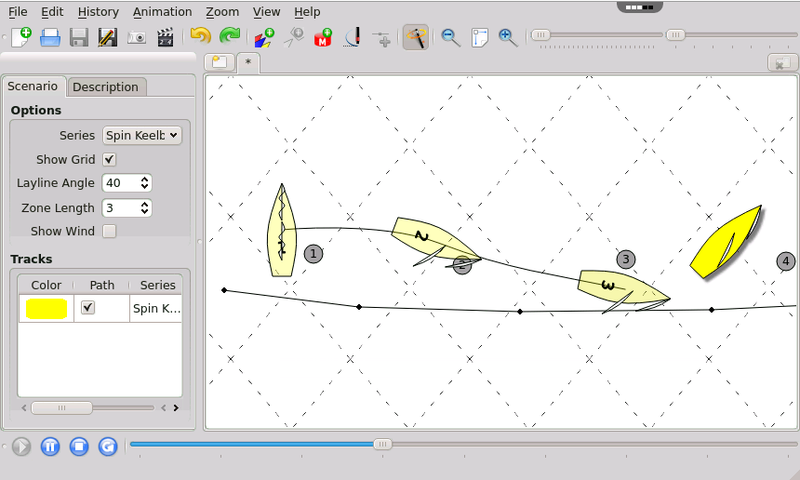 Multiple boat shapes, because not everyone races a Soling! Available boats now are Optimist, Laser, Tornado, and Keelboat. More can be added! 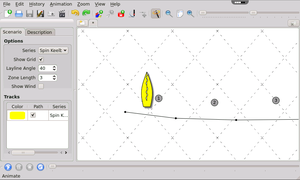 Easy boat movement and setting the heading with left and right mouse buttons. 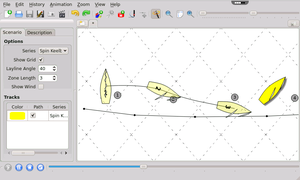 Boat selection mechanism to edit multiple boats together, and undo/redo options. 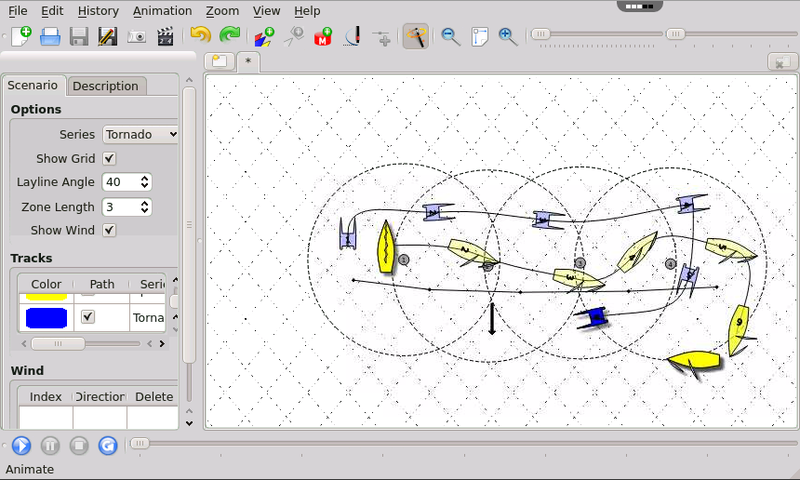 Smooth animation with play/pause/hand set to test the realism of the drawing. Wind shifts along the scenario. 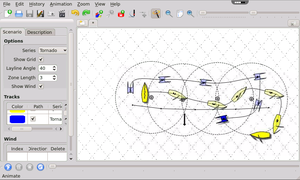 Export as an animation image, or as a still Image of any time in the animation. Data is saved as xml. It is thus planned for further evolutions.